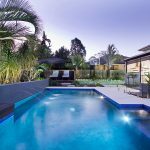 The owners of this pool gave a simple brief to Argo Architects; design an entertainment-friendly poolscape that was well suited for leisure and relaxed swimming. It was, however, deceptively difficult to achieve. 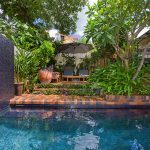 Sitting as it was on a small 343 square metre-sized block of land in inner suburban Brisbane, this home only left one option for pool placement – the narrow side yard. 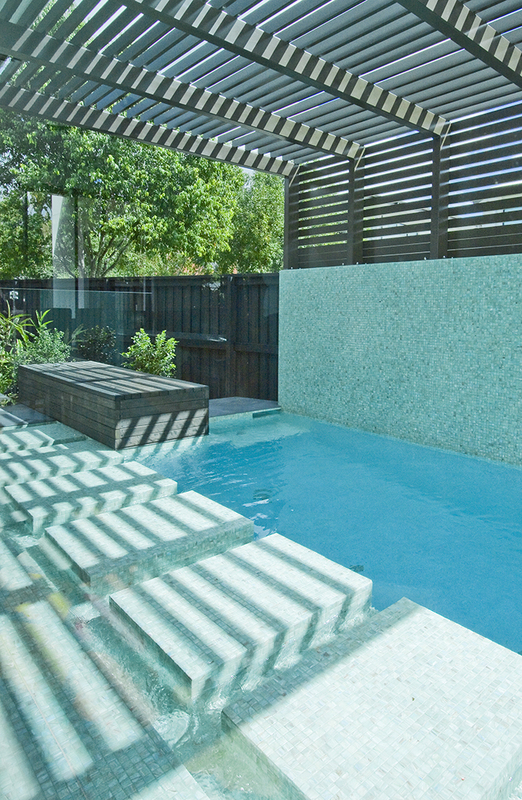 With only 10 metres by 3.5 metres to work in, Argo Architect’s principal architect Will Marcus and Argo’s poolscape architect Dylan Chen had to come up with some savvy ways to connect the new poolscape to the home’s architecture. 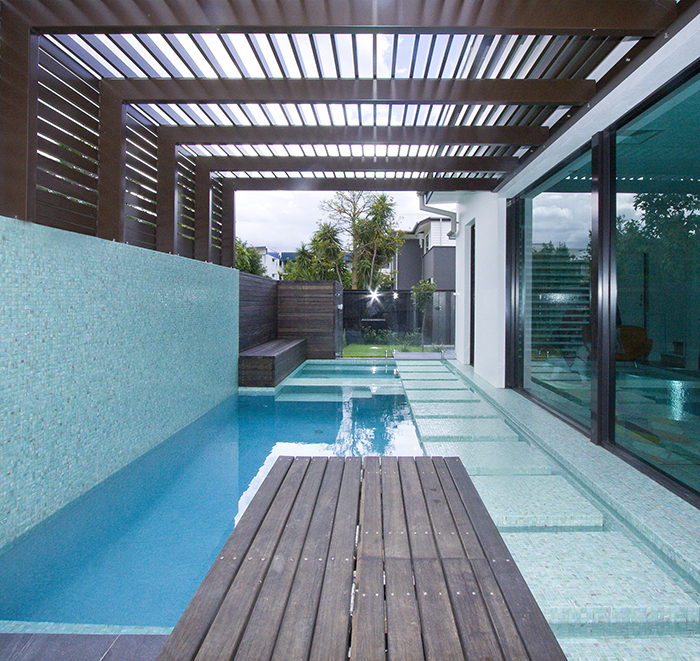 Working with Fowke Design & Construction, they removed the western wall of the house and installed large picture windows to offer views straight out onto the new pool area from the ground floor. 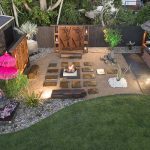 “The poolscape became so much more, as it was now part of the architecture and the main feature of the living, dining, kitchen areas, ” explains Will of the project’s evolution. The new western facing picture windows had to be protected from the harsh rays of the setting sun, so an aluminium loggia was designed using brown powder coated aluminium. 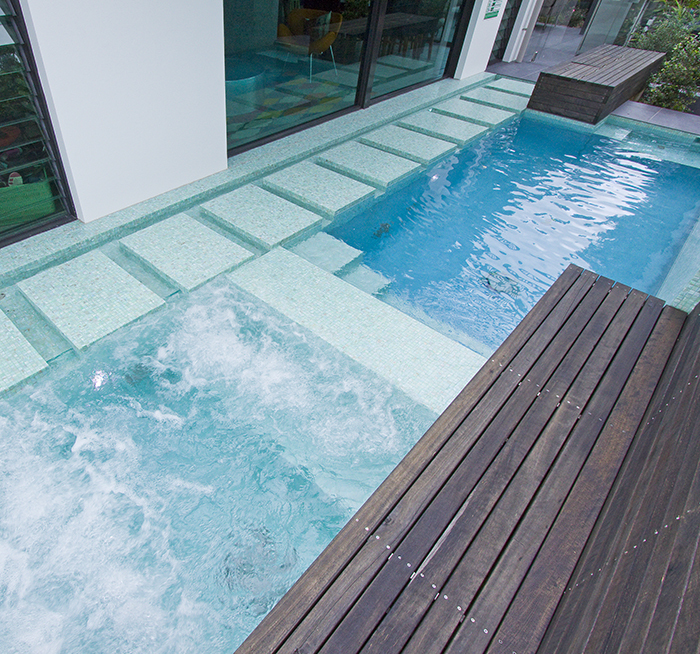 An aquamarine palette of green and sky blue offset each other in this cool and calming space. 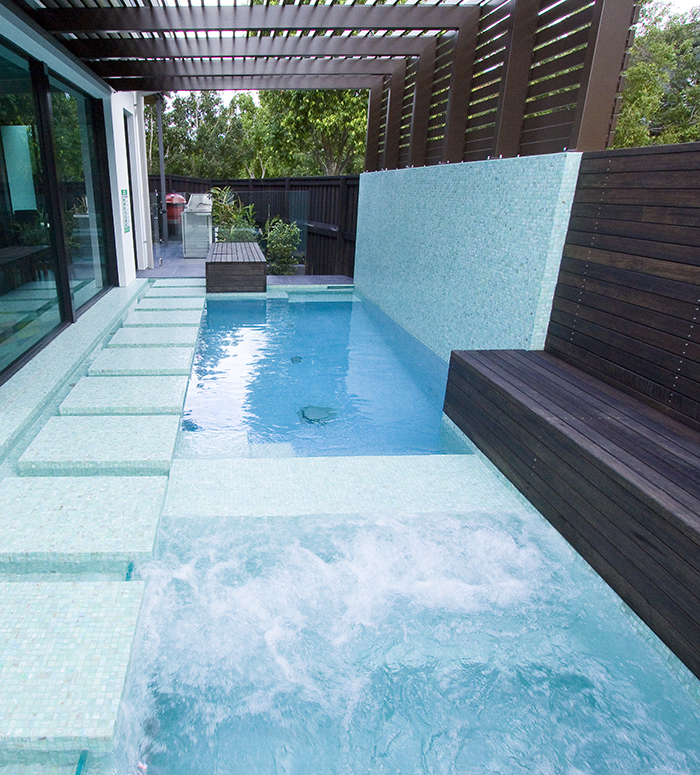 Underwater benches and a spa pool are separated by the shallowest of weirs, all tiled with Bisazza’s stunning glass mosaic from their Le Gemme range, while a series of glass tiled steppers blend with the water and the spa and feature wall. 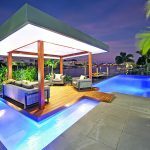 Functionally, the pool is fitted with a Paramount PCC 2000 built-in automatic cleaning system, a QIS Solarwise solar pool heater, a Zodiac variable speed DC pump, glass bead filter and salt water chlorinator. RGB LED underwater lights, air injected spa ledge and four rotating Gatling-gun spa jets imported from the US finish off the hydrotherapy spa. 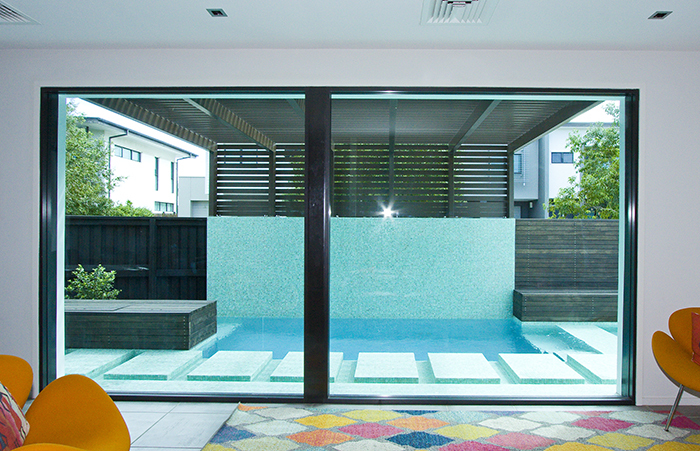 The result is a pool that allows its owners to go on holidays for up to eight weeks without any maintenance required. “The maintenance is so low that we are still waiting for the first necessary backwash of the filter some six months after completion – and we expect that this task may only need to be done annually!” says Argo’s Will.